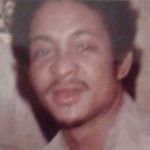 Remembering George Ervin Holland | : Hardeman County Funeral Services Inc.
George Ervin Holland was born on November 16 1955 to the late Robert Ervin Holland and Emma Mae Hall Holland in Covington, TN. He is preceded in death by his parents, his daughter Georgette and brother Everett Holland. He attended Smith Grove Baptist Church in Brighton, TN where he was baptized by Reverend Polk. Later on, he attended Parkers Temple Church of God in Christ in Lexington, TN. He was employed at the Chain Factory for many years and then worked at MIG. 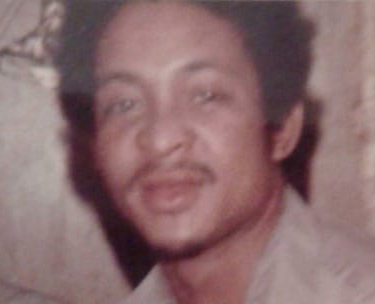 George Holland was a trend-setter and always wanted to live life his way. He did work on a farm at an early age and even at the age of 17/18 he single handedly ran a dairy farm with more than 160 cows. He would get up at 4a.m. and work 7 days a week. He also loved to go fishing. George had such a love for family and especially his brothers growing up. He taught them how to live outside the farm. He most definitely admired his late brother Everette Holland. He was like Everett’s shadow growing up and always wanted to follow him, even now. He leaves to cherish his memory three sons and three daughters: Derrick (Angelia) Gilliam of Covington, TN, Shanika Dowell and Marvin Thomas of Millington, TN, Mary (Bob) Holland, Angelica Holland and George Holland of Lexington, TN; fifteen grandchildren: Janiaya, Andrice, Desiree, Emily, Shelby, Arianna, Jada, Miah, Olivia, Zach, Markees, Marquez, Jaquala, Lashawnda and Paris; seven brothers: Arthur Lee Holland, Robert (Jean) Holland Jr., Jimmy Wayne Holland, William Paul Holland, and Greg (Betty) Holland of Covington, TN and Jerry (Vikki) Holland and Carl (Jeri) Holland of Pontiac, MI; four sisters: Mary Jean Frazier of Covington, TN and Loretta Norfolk, Joyce Ann Holland, and Laverne (Elvis) Tate of Pontiac, MI and a host of nieces, nephews, cousins, and friends, including a special friend Derrick Adams.